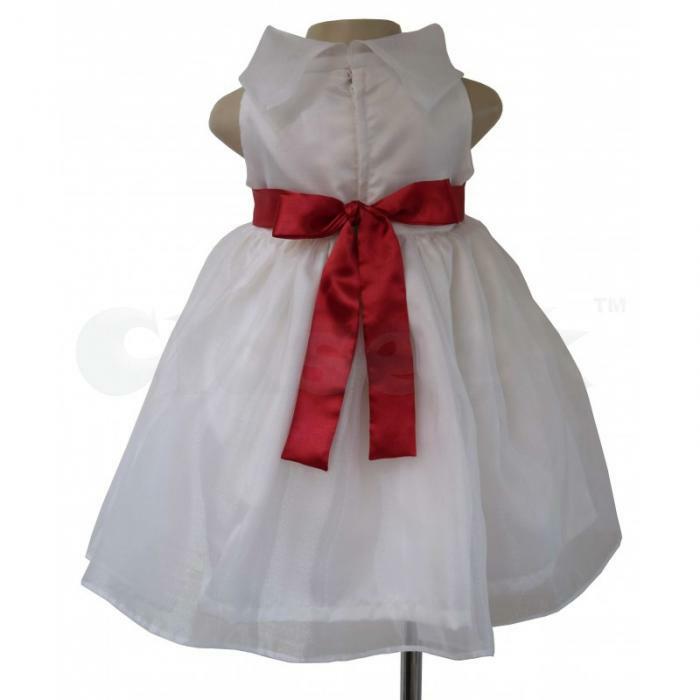 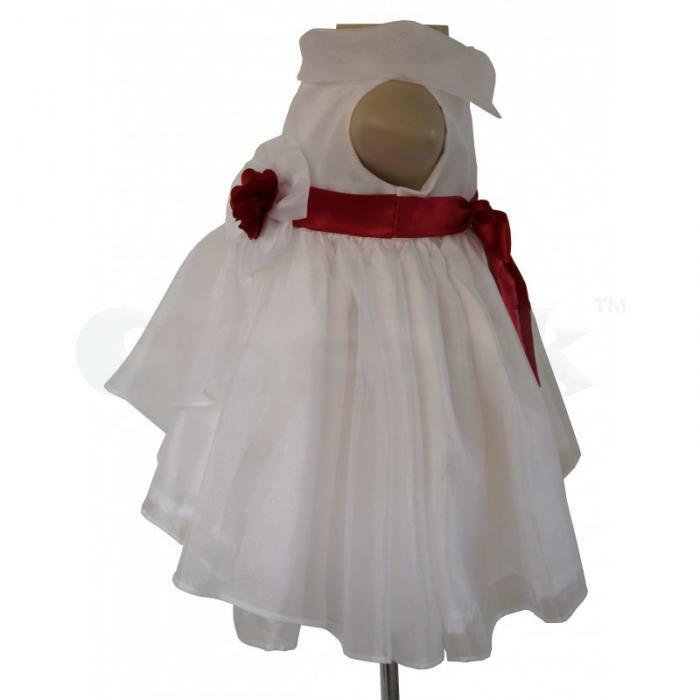 Your child will always look her adorable best wearing baby girl clothes from Faye. 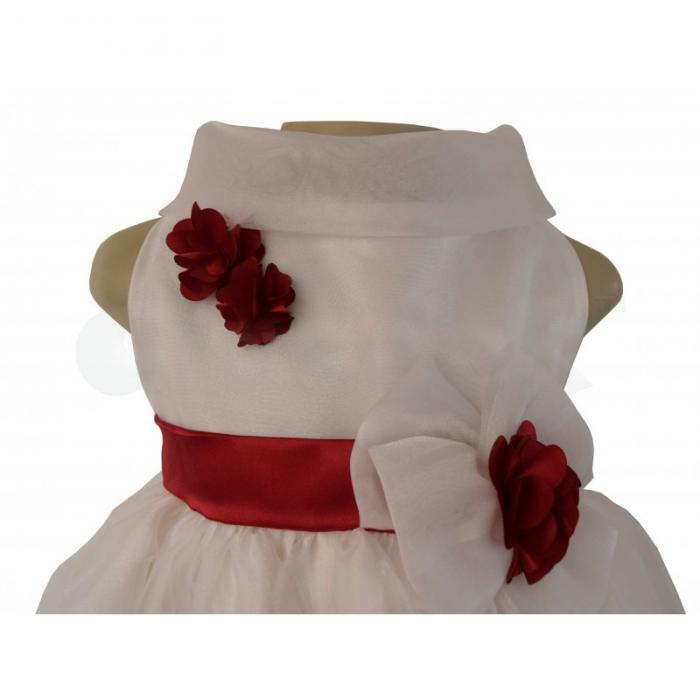 We are your one-stop shop for all your baby's clothing needs. 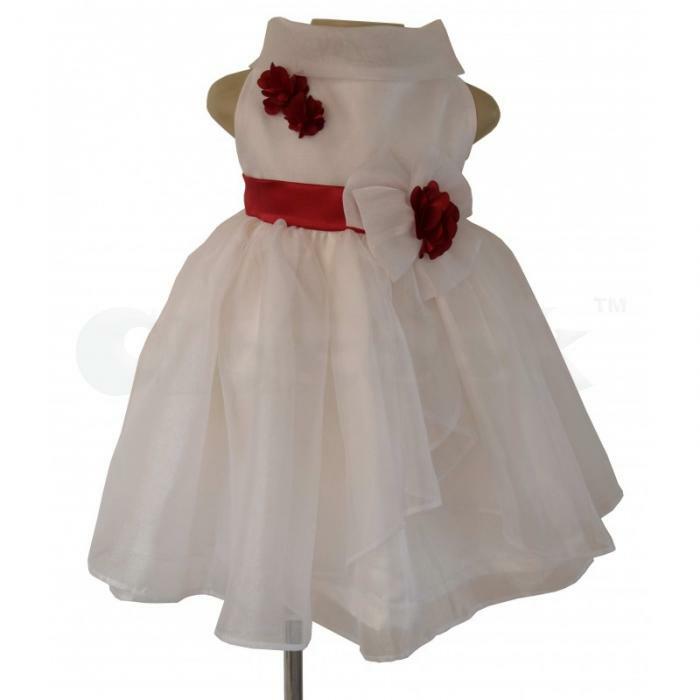 This dress has a chic, cowl neck and a layered organza skirt which is gathered, making a wonderfully full look. Blooms adorn the dress at the waist and body.